Dr. Michael 'Migizi' Sullivan is an Anishinaabe linguist from the Lac Courte Oreilles Ojibwe reservation in northwestern Wisconsin. He holds degrees from Lac Courte Oreilles Ojibwe Community College, the University of Wisconsin-Superior, and the University of Minnesota-Twin Cities. He is currently on leave from the College of Saint Scholastica serving as the resident linguist for the Waadookodaading Ojibwe Language Immersion School at LCO where he contributes to curriculum design, language proficiency assessment, and immersion teacher training. He enjoys singing at powwows, round dances and ceremonies, in addition to hunting and fishing with his family. Our 2017 fall conference will explore how languages and cultures give our students new lenses through which to view their worlds, while also shaping their cultural identities. ACTFL's 2017 call for us to Lead with Languages highlights the critical role languages play in our worlds, on both individual and societal levels. We will welcome Prof. Michael Sullivan, speaker and teacher of Ojibwe language and culture to explore this topic through his keynote address. Will you please join us as well? Post-conference workshops are intensive 3-hour experiences intended to help you dig into a topic or method with an experienced practitioner. Workshop titles and descriptions will be announced here as they become available. Add a workshop to your Friday Conference Registration by contacting webmaster@mctlc.org - $50 ea. Use the red button above to register for a Post-Conference Workshop. Interested in advertising or exhibiting? Click here to learn more. Request that a check be mailed to MCTLC, PO Box 11926, St. Paul, MN 55111. The registrants' name must be included so that we know to whom to apply payment. MCTLC Treasurer can forward an invoice to the person who will be paying but that person's contact information must be in our system. Go here to add your name to our mailing list. That person may then use PayPal to process a credit card. Make payment and request reimbursement. Register your colleagues as a group using the "register a guest" option. Contact MCTLC Webmaster to edit your registration or add a workshop and with technical questions. Treasurer Mary-Fred Bausman-Watkins can help with payment questions. See above for PayPal tips. 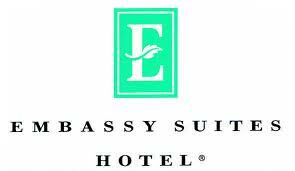 Adjacent to the Earle Brown Heritage Center is the Embassy Suites, a longtime supporter of MCTLC and your place to stay for the conference and all year long. Mention MCTLC when you book! We are thankful for these amazing prizes brought to you by our exhibitors, Betty Lotterman, and our phenomenal Door Prize Chair Barbara Cartford!